Why is My Cat Peeing on My Bed? – All You Need to Know! Woke up in the morning and found yourself drowning in an ocean of cat pee? Well, I know it is tragic, but it sounds kinda funny, right? But do not worry. I found myself in the same problem before and I’ve eliminated it once and for all. So let me share with you some of my wisdom about why is your kitty behaving such way and what has caused that pleasant little creature to turn into a wicked brat. You’ll know everything you need to, once you get through my post. And hopefully, you’ll be able to conquer the problem the same as I did. Why is Your Cat Peeing on Your Bed? The major reason for uncontrolled urination in cats can be a urinary infection, also called FLUTD(Feline Lower Urinary Tract Disease). In addition, you can identify a lower tract urinal problem in your cat if your cat starts to urinate in a small amount, has lost control over urination. If she is frequently visiting the litterbox or even if she starts to avoid the litterbox. In general, if she shows any symptoms different than the routine, keep an eye on her. And you may be able to notice such problem in earlier stages. A vet will be able to examine your kitty thoroughly with urinalysis and physical tests. 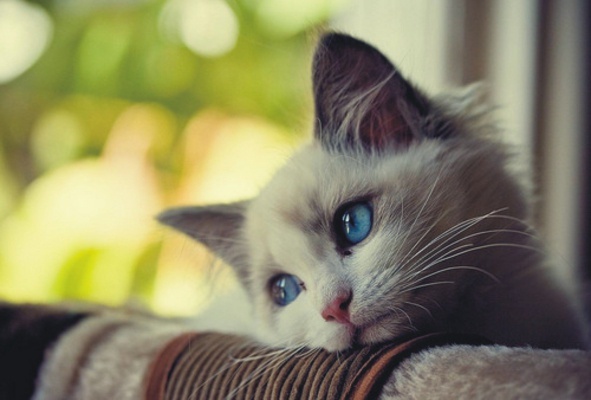 Often pet parents are unaware of the stress issues their cat is suffering from. A pet owner should always notice any change in the behavior of their pets. As such changes can indicate a possible trace of anxiety or stress. 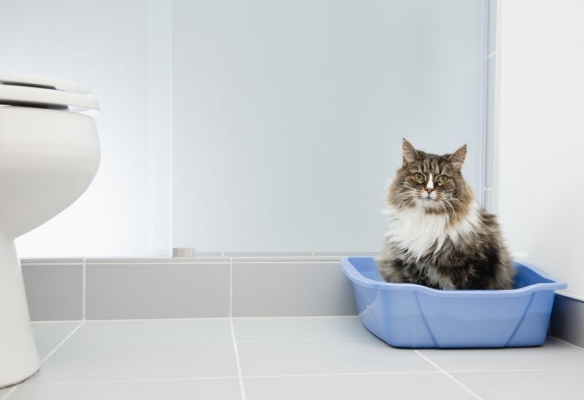 In major cases, the main cause of urinal dysfunction in cats is anxiety. There can be multiple reasons for anxiety, which includes social issues. Same as humans, animals also have their own way of showing unhappiness caused by some actions of their master. Maybe you might have brought home a partner and the cat may not have liked it! Yes, such things do matter to the cats. Remember that it takes a little time for cats to accept someone new in their routine life. But keep in mind that this just shows that your kitty is unpleasant. It does not mean to cause any disturbance. In some cases, a newborn baby or another pet can divide the attention that the cat used to get. The same way, if someone from the family moves out, it is a change in their environment too. There can be possible ways to reduce such stress. Such as bringing gradual change. If someone is going to move in, familiarize him with the cat a few days before they actually move in. This may allow the cat to accept the new member less hesitantly. Meeting with an unpleasant encounter can initiate a feeling of stress in the pets. I.e Confronting a brutal dog can make your kitty feel paranoid. It is crucial that you notice such behavior change and take her to a vet. There are multiple Cat pheromones available to take care of stress in felines. Sometimes some simple issues with the litter box can cause the cat to do such wicked things. Do you keep your kitty Litterbox clean? How frequently do you clean the litterbox? Keep in mind that no one likes to poop at a foul place. Make a habit of cleaning the litterbox at least once in a day. It will help the cat to pleasantly use it whenever she needs to, without having to endure filthiness. Also, change the litter every month. You can even use scented litter provided by some manufacturers for a more agreeable experience of kitty and avoid foul smells. Have you recently introduced your cat to a new litterbox? Make sure that you have bought the right size of the litterbox. Generally, you should buy a litterbox that is one and a half times larger than the cat herself. The kitty must feel comfortable while eliminating. If she does not, there is no chance she is going to use it anyways. Avoid placing the litterbox near a place where your cat usually eats as normally a cat does not eliminate at such place. Also, it should be away from a place where there is too much disruption. Cats also need some privacy, right?! Lastly, most cats do not like a litterbox with a cover as they are not used to poop in a cave! So stop buying a covered litterbox for your own convenience. 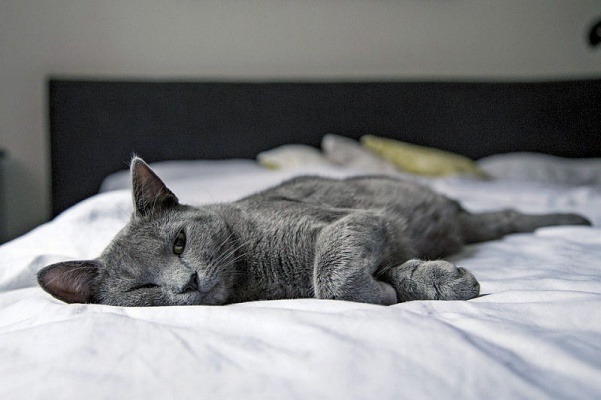 If your cat is frequently peeing on the bed, it means that she is not looking at the bed as one of her own place (As they do not eliminate where they eat, remember?). So introduce some playtime with your kitty on the bed. Once your cat will get familiar with the bed and its scent, most probably she will choose not to pee there as it’s her own place. Keep the litterbox near the bed. Finding it nearer will reduce the chances of cat fouling the bed. Keep the litterbox clean. Clean it once a day and change the litter once a month without fail. Also, give your kitty the attention she needs. If the cat feels that she is being ignored, it may disturb her and hence can result in stress (cats can be demanding, right?!). There are special veterinary drugs available that can reduce stress in your pet. Though it is advisable to take such a step in severe cases only. Another thing you can try is to keep your kitty on routine. A cat must have proper eating, sleeping and play time. Bounded with a routine, there is a less chance of stress or anxiety. Now, if you have any query related to this issue, let me know by commenting below. I will try my best to solve your confusion about “Why is My Cat Peeing on My Bed??”! For more such articles, rush at petlovesbest! Previous articleWhy Do Cats Look Out the Window? | Mystery Revealed! Next articleHow to Crate Train a Dog | Is it Cruel to Crate a Dog?